Obituary for Lilia L. Bradley | House of Wheat Funeral Home, Inc.
BRADLEY, Lilia L., born March 10, 1926 in Sumterville, AL to Freeman and Caroline Watkins, passed away Wednesday, August 8, 2018. 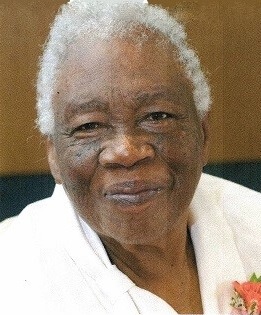 Preceded in death by her spouse, Sylvester Bradley; daughter, Selina “Kay” Bradley; siblings, Willie Lee, James and Frank “Kid” Watkins, Mary Jackson; grandchildren, Isaac Jr. and Zion; sister-in-law, Bernice Watkins; brother-in-law, Willie J. Moore. She leaves to cherish her memories her siblings, Lizzie Watkins, Mary Moore, Kennard Watkins; children, Frank Watkins, Laura (Warren) Gillespie, Terry Bradley, Delilah (George III) Tuck, all of Dayton, Isaac (Linda) Watkins of Dale City, VA; 11 grandchildren, 20 great grandchildren; a host of other relatives and friends. Funeral service will be held 11 am Thursday, August 16, 2018 at Ethan Temple Seventh-Day Adventist Church, 4000 Shiloh Springs Rd. Visitation 9 am at the church until time of service. Family will receive friends one hour prior to service. Interment Jeffersonview Cemetery.